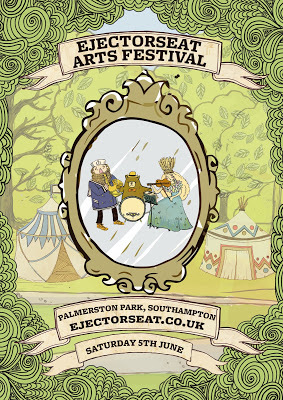 our mates (and super promoters) Ejector Seat are this year running a free arts festival in Palmerston Park on June 5th. As well as music, performances and exhibitions, there’s going to be loads of interactive arts events and workshops, including two by us: Jimmy will be running a ‘How Not To Start An Indie Label’ session, while Lonely Joe Parker and Andy Harris (Haunted Stereo) will be doing a songwriting workshop. The whole thing goes on all day in the sunshine! Wahey! !